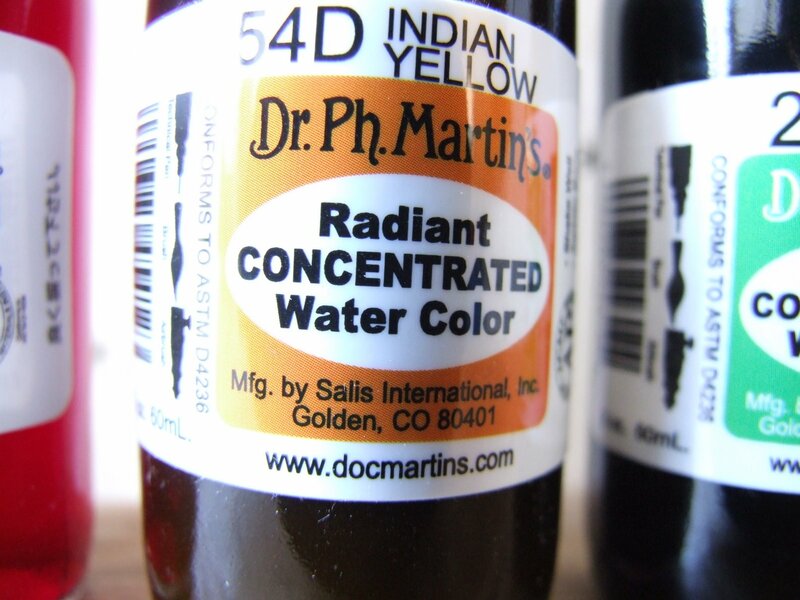 I adore Dr. Ph Martin’s radiant, concentrated water colors. 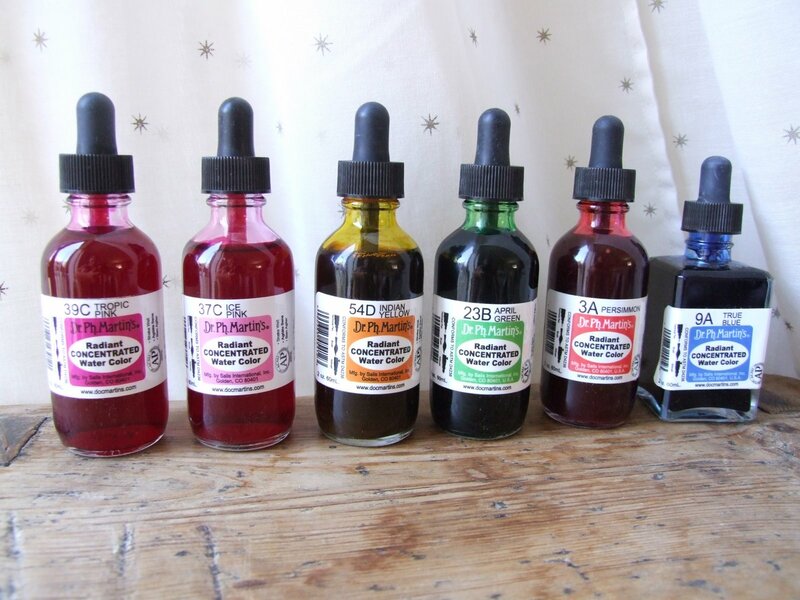 They are in all good art shops, and I have found this great online shop: Graphotism, which sells them in both 15ml and 60 ml sizes, for great prices. AND great speedy postage too. I’m very pleased with their shop! I’m using the ink for my ladles, they have really vibrant color, which has minimal fading, and can easily be mixed with both glue and water. I also will use them for drawing with and for color washes. And what gorgeous packaging! I don’t know if i am more excited about the inks themselves or having the empty bottles when the ink runs out.